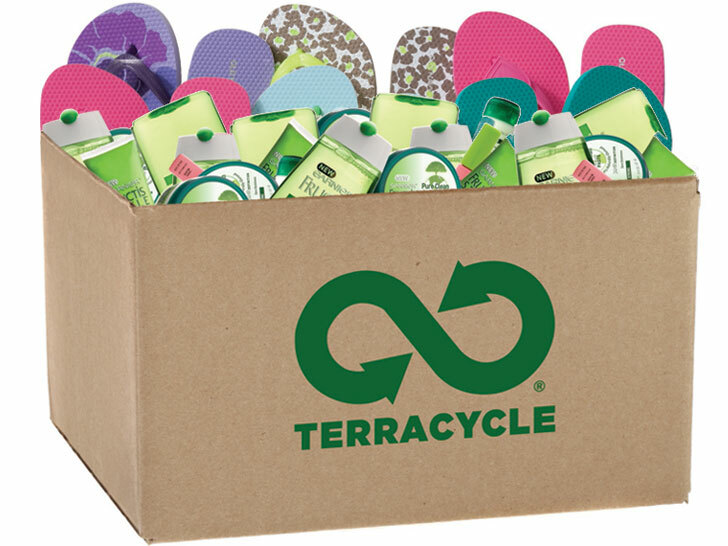 You don’t have to wait for Earth Day to find a recycling program for your used flip-flops or cosmetics empties. Old Navy and Garnier have partnered with the waste-reducers at TerraCycle to collect your castoffs year-round, free of charge. Anyone who signs up for the Old Navy Flip-Flop Brigade or the Personal Care and Beauty Brigade can stockpile their respective items immediately. A postage-paid shipping label then dispatches the parcel to TerraCycle, where the formerly landfill-bound products will get a second shot as a playground, park bench, or bike rack somewhere in the United States. What goes around comes around, right? You don't have to wait for Earth Day to find a recycling program for your used flip-flops or cosmetics empties. Old Navy and Garnier have partnered with the waste-reducers at TerraCycle to collect your castoffs year-round, free of charge. Anyone who signs up for the Old Navy Flip-Flop Brigade or the Personal Care and Beauty Brigade can stockpile their respective items immediately. A postage-paid shipping label then dispatches the parcel to TerraCycle, where the formerly landfill-bound products will get a second shot as a playground, park bench, or bike rack somewhere in the United States. What goes around comes around, right?